So you have this neighbor who's gotten a bit…obsessed. Always wants you to come over. And when you step inside, let's just say the place has become an all-out shrine. Welcome to the new Apartment Number 9, keeping up with the times by turning itself into a home for rotating pop-ups, starting today. 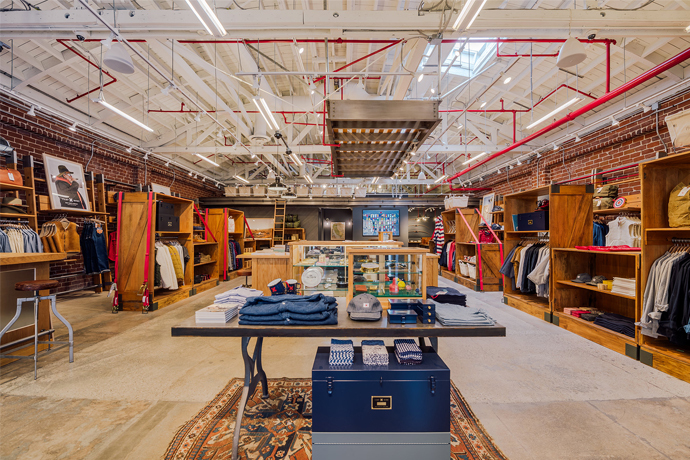 You got to know the South Santa Monica hideaway as a go-to spot for prime finds like Band of Outsiders and Seize sur Vingt, so in the months to come you might be doing a fair amount of suiting up. But they're starting things off on a nautical preppy note with the entire spring line from their first resident, Trovata (good thing, too, since you've been neglecting the hipster-sailor section of your closet). 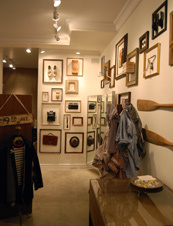 In addition to rumpled button-downs on a hat rack and the occasional striped sweater on a hanger, you'll be surrounded by random mounted oars and old cameras framed on the wall… feels like your uncle's place on Martha's Vineyard, which hasn't changed in a few decades. Should bring in plenty of girl-next-doors.